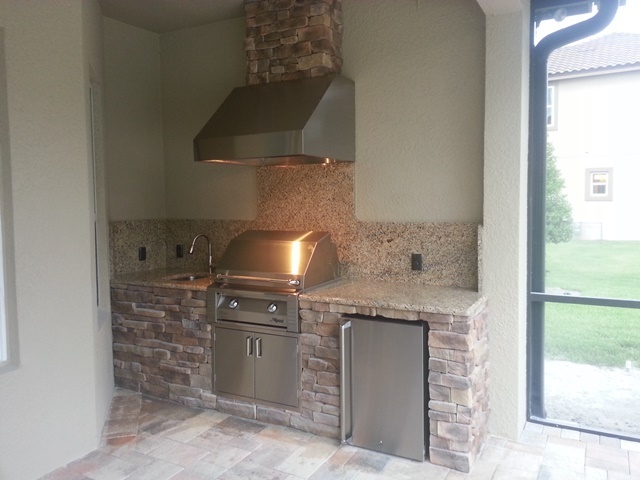 which we request every client fill out at the completion of their job. 5 being the MOST satisfied. 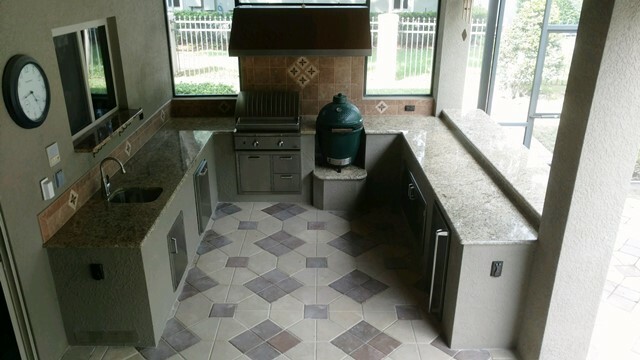 “The quality of work is very good. 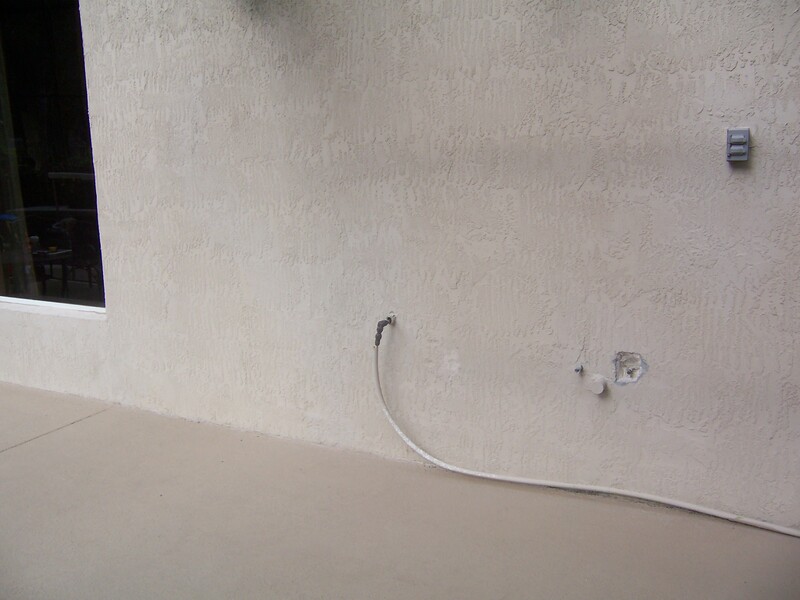 Once the work started it went smoothly and was finished on time as promised. “VERY NICE WORK”. “Fantastic job!” Bill was presented with a challenge on a different level of expectations and he ultimately delivered! 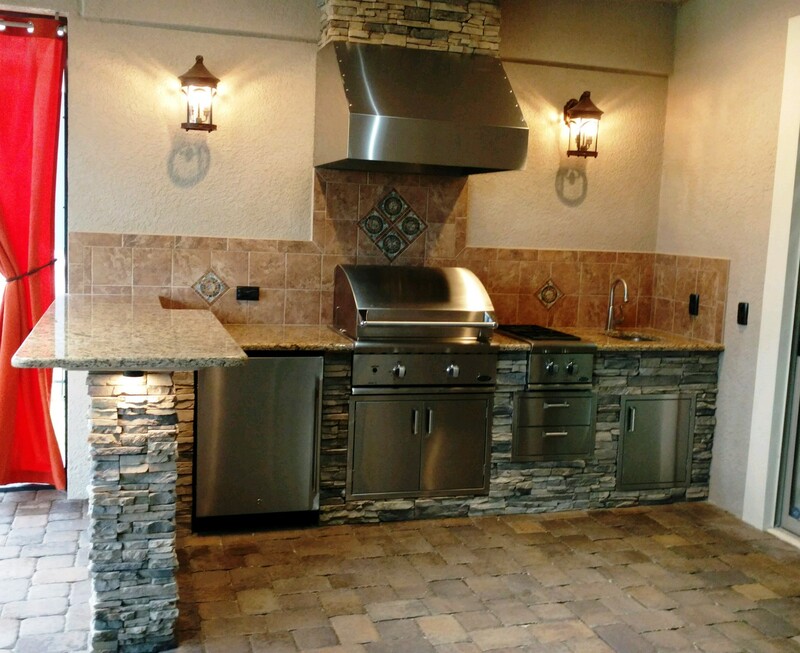 Love the tile, grill, combo and the LED colored lights”. “Bill, I wanted to write this letter because the survey alone cannot adequately describe how pleased I am with your work. From day one it was clear that you are a true professional. 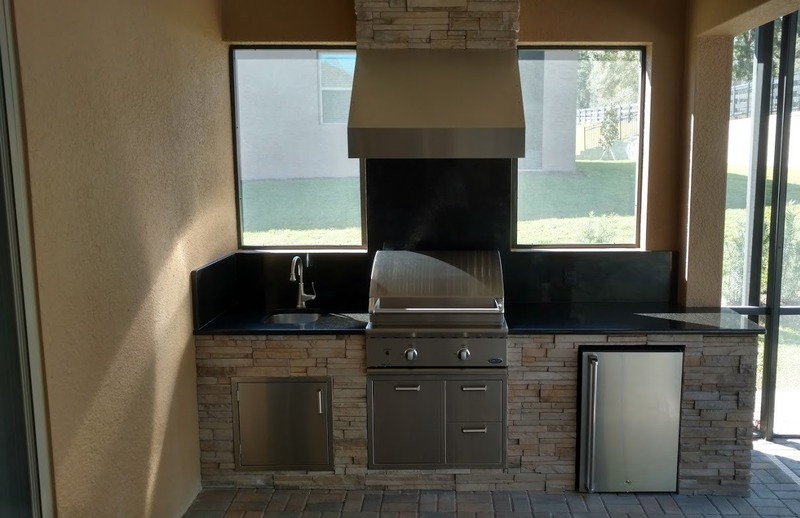 You demonstrated great knowledge of the various materials and equipment available to complete the job and had a wonderful vision of what our bar/kitchen could be. 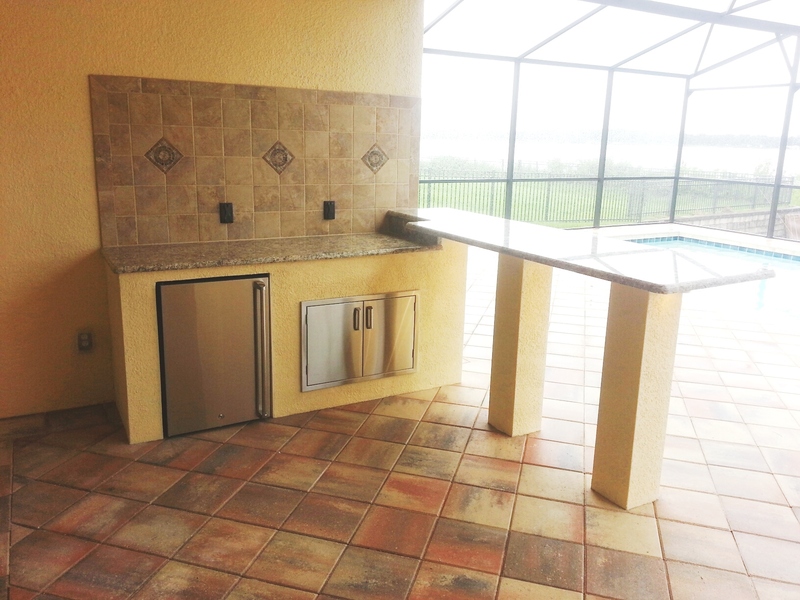 comparing other projects from the pool to the landscaping, etc. etc. YOU are the only one to do what was planned, on time, on budget, and with no issues. 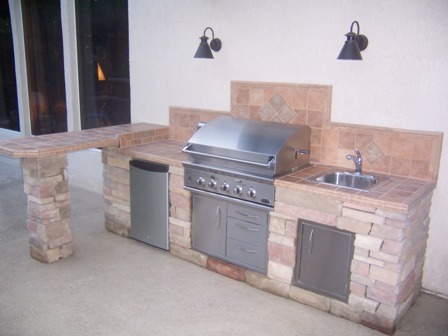 I can’t imagine anyone having an outdoor kitchen built by anyone but you. Feel free to have any potential customers call us . . . we like to brag about it. If anyone even considers using someone else, they’re making a big mistake. To even make it better, Bill, we think the cost was more than fair. 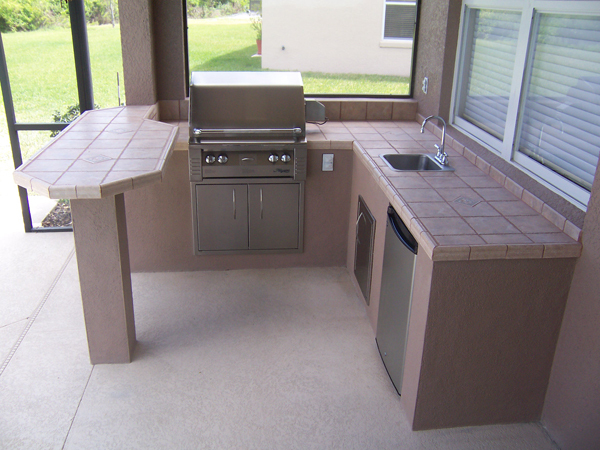 Put Sue and me at the very of top of your list of satisfied customers . . .we are NOT easy people to please. One more thing. 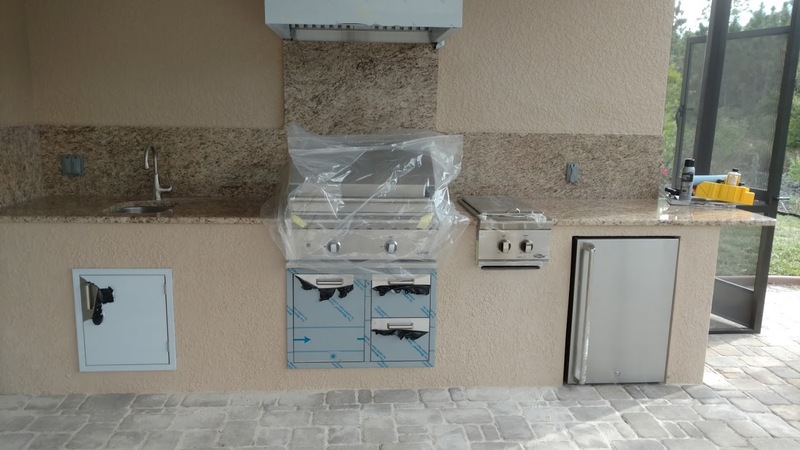 The grill itself and the vent work better than I ever anticipated . . . making me an even better chef than I already am!” Thanks so much. 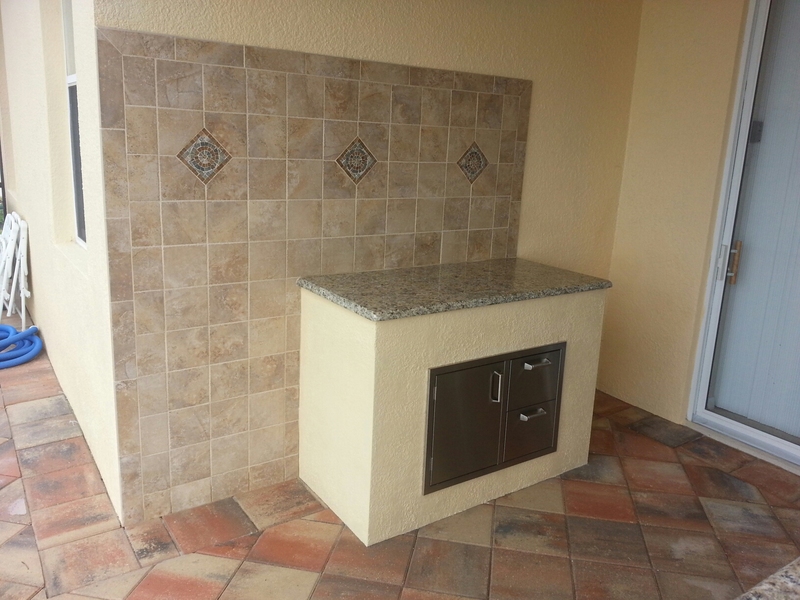 “Bill, you and your staff are by far the most professional, ethical, and pleasant contractors we have known thus far. Gave a score of 5 on every question answered on Customer Satisfaction Survey! 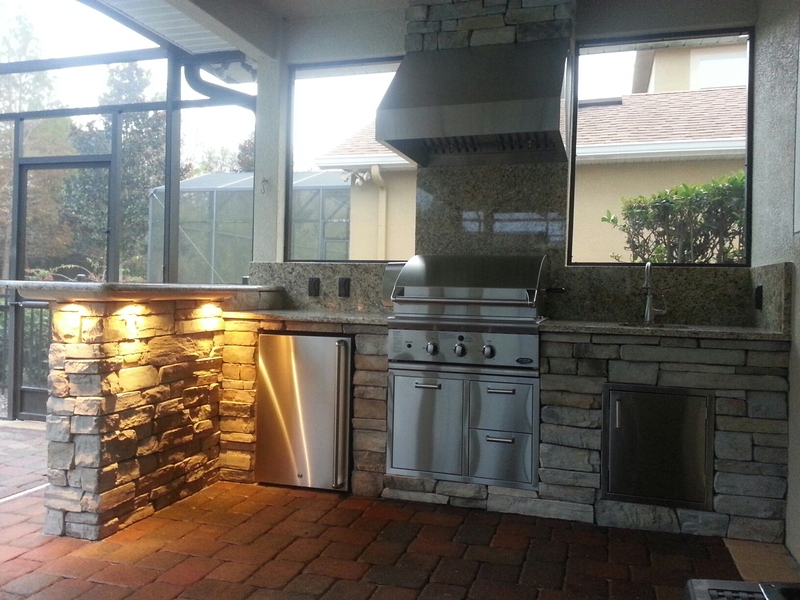 “We are very happy with the final project and are enjoying our outdoor kitchen. 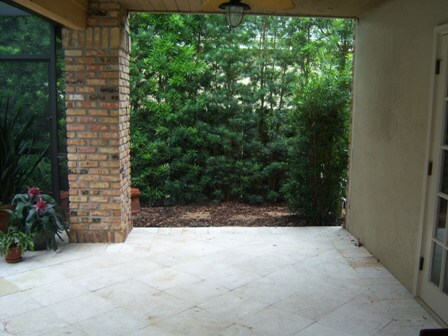 “The most professional and enjoyable experience with a Contractor that we have ever encountered. 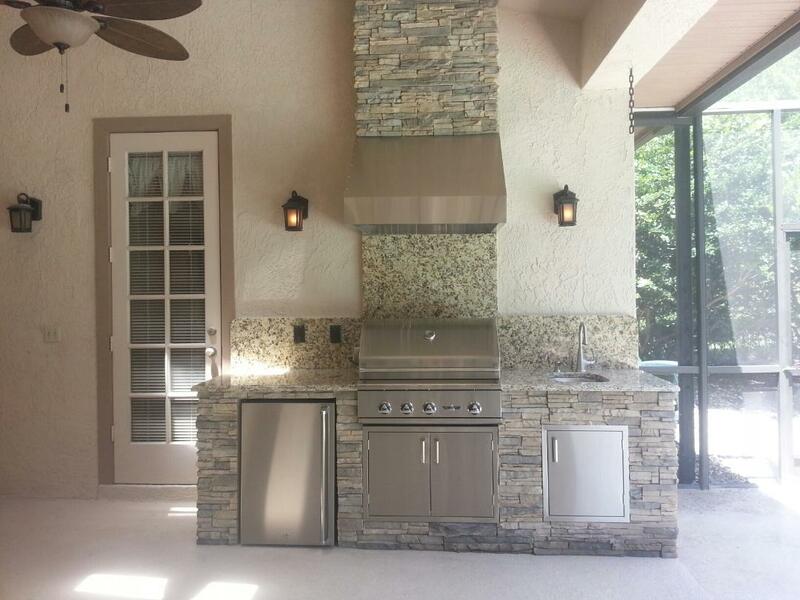 “Far surpassed our expectations. It’s so beautiful. The men were very professional and respectful. 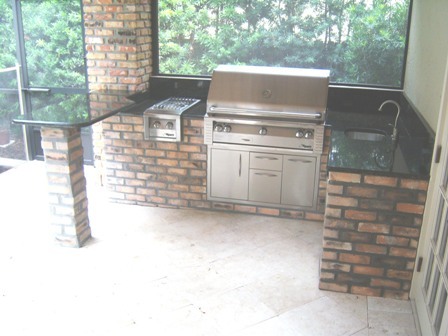 “We would recommend Outdoor Kitchen Creations to anyone. 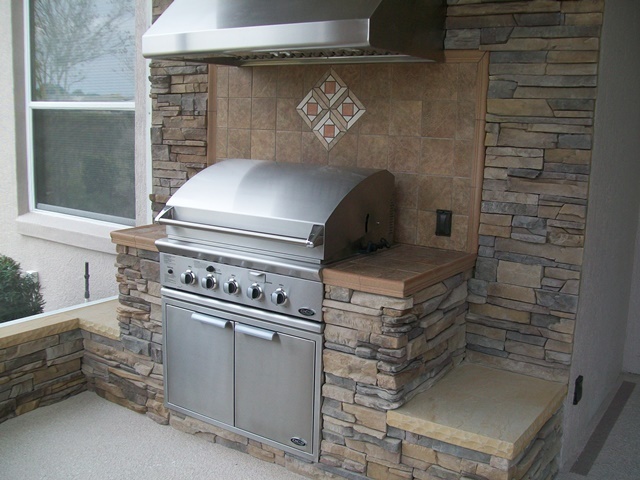 We love our outdoor kitchen and use it all the time. Bill and his helpers never left a big mess behind and always made sure we were happy with what was being done. 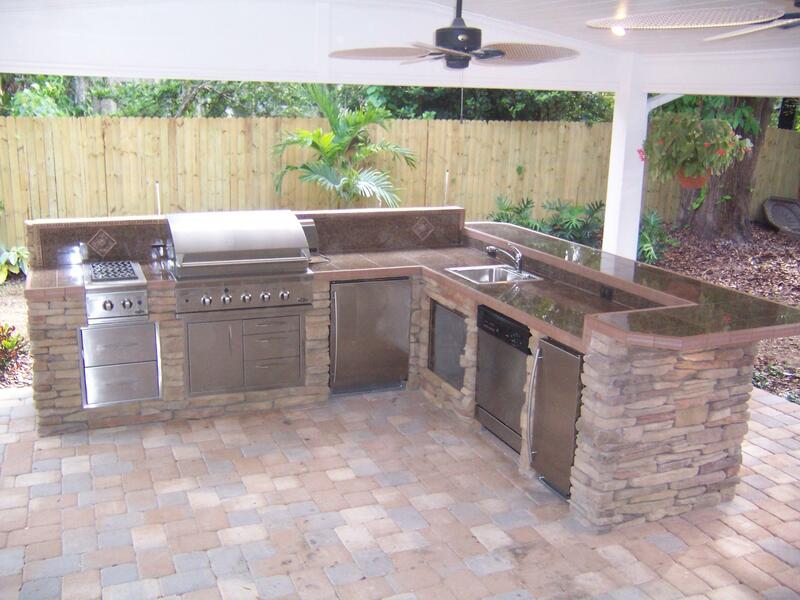 “It hardly seems that nearly two months and three hurricanes have gone by since you completed our new outdoor kitchen. 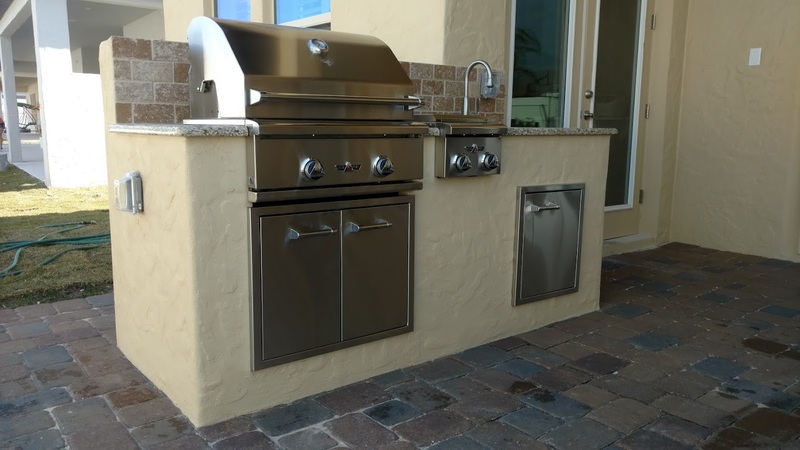 The fact that your new construction on our home is still in perfect shape after all of the storms is a testament to the lasting quality of your work. 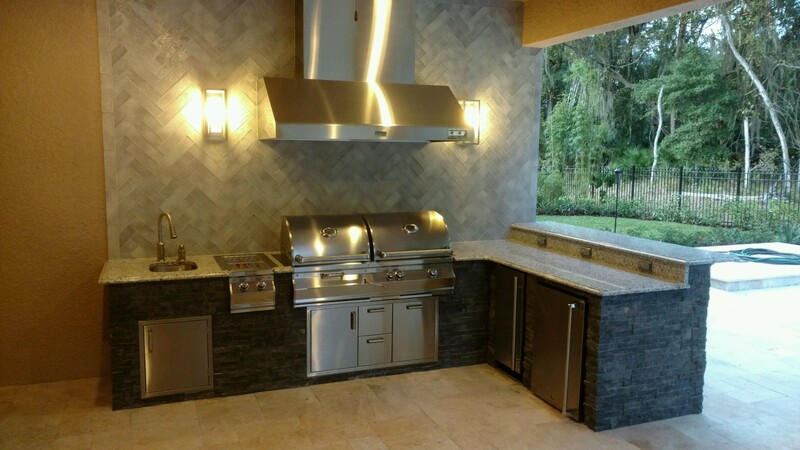 You listened to our wants and needs, added your recommendations and then followed through on our desires – on schedule and within budget. 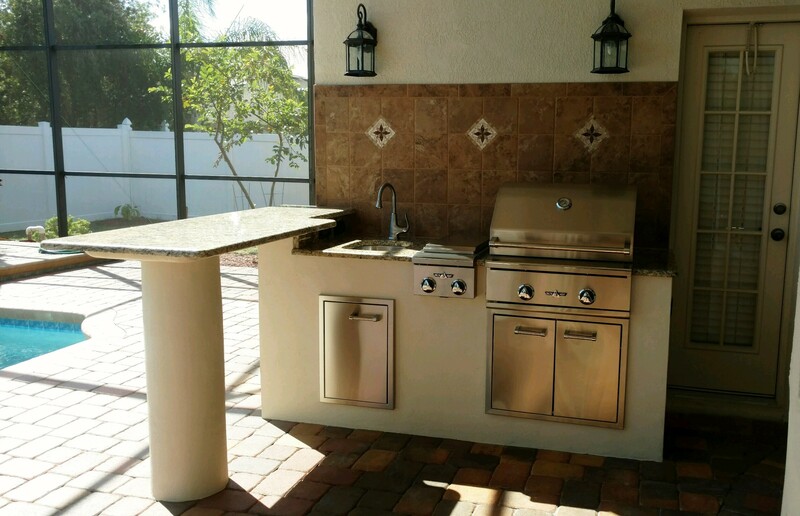 Thanks to your input, we feel we actually have a better product that adds more value to our home than we would have otherwise had if we had listened to others in the market that wanted simply to sell their outdoor kitchen kits. 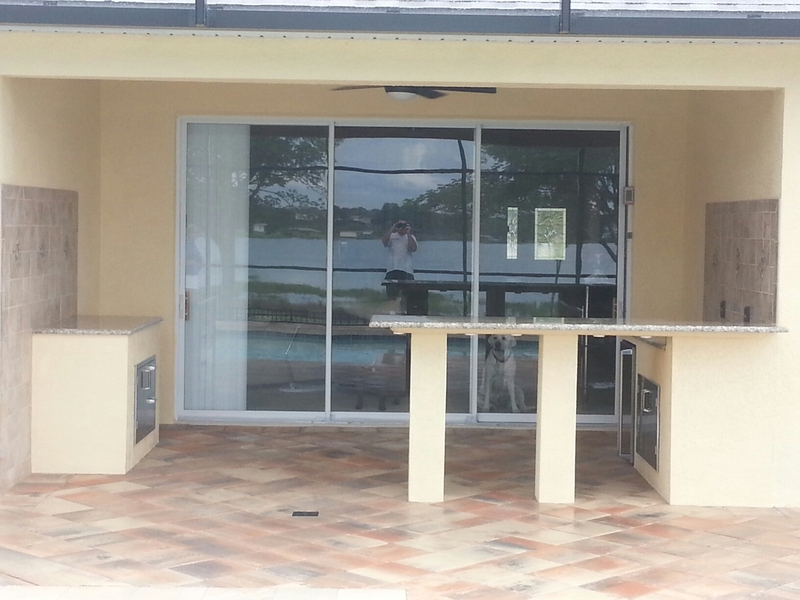 “Bill is truly a man of his word when he states his number one priority is Customer Satisfaction. 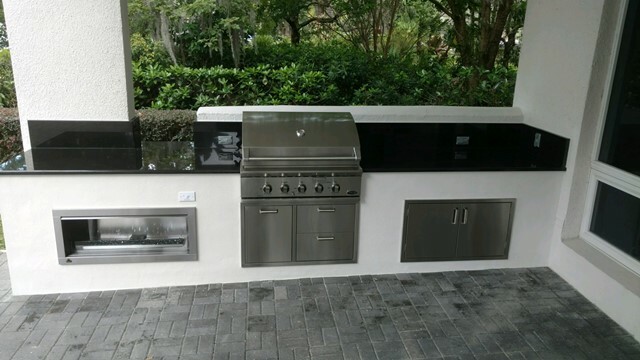 We sat down with Bill and he designed our outdoor kitchen and we were provided with a detailed drawing prior to construction.